Do you fancy for an unusual decor items for a personality filled home and corners? 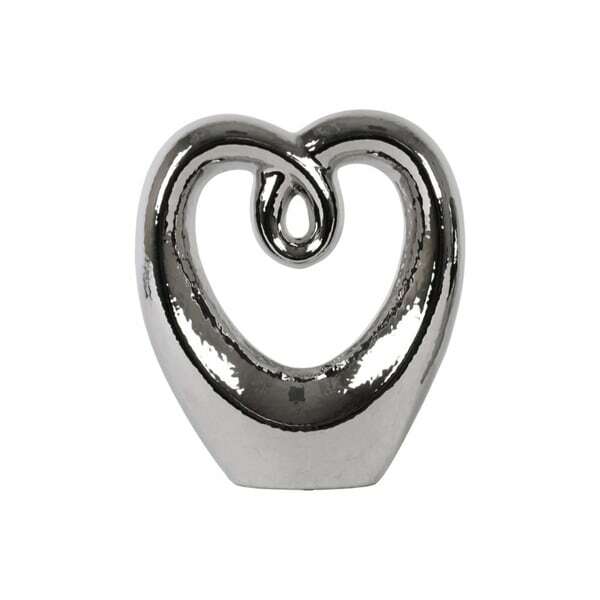 Then you need to try on this Heart shaped unique abstract figurine in polished chrome finish in silver. Made in ceramic this decor object can be displayed on any cabinet, mantle shelf, tabletop or showcase as a solo statement piece carrying contemporary appeal. Usually such abstract figurines are inspired by nature, humans or it can also be an image created as an illusion or imagination. Dimensions 10.0 In. X 2.5 In. X 11.25 In.